Are you in charge of your company’s corporate event staging in Melbourne? Have you been looking for a company that can provide you with a unique and spectacular experience? 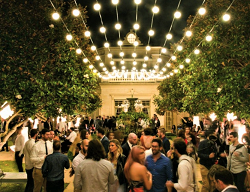 Pro Light & Sound is the company you’re looking for, and we have been active in event staging in Melbourne since 1989, so you can trust we have the skills and experience to make your next function an exciting affair. 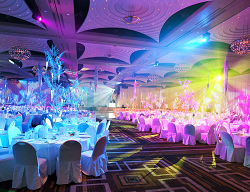 Our event staging services in Melbourne are comprehensive. With creative lighting design and styling elements for weddings, galas, product launch parties, awards ceremonies, conferences, and showcases, you can bring a truly unique experience to your audience. Any event staging in Melbourne requires careful planning, and to ensure you receive the experience you want, we work with you every step of the way. Formulating a lighting and sound plan for your big event can be challenging, but with the right help it can also be a rewarding experience and contribute to making your special event truly amazing. Correct lighting is essential for any public speaking event because it allows the audience to view the speaker clearly and feel a connection to the deliverer as well as the message. Light sources help to build trust between you and your audience, giving an intimate feel to even the largest of events. When you are looking for event staging for hire in Melbourne, call us. We are here to help you plan the best corporate event staging in Melbourne. 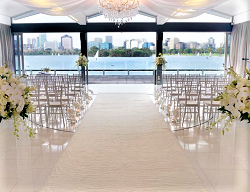 Our event staging services in Melbourne is second to none. Are you planning a wedding and looking for a company to work with that can provide you with excellent audio/video service? With over twenty-five years’ experience in the industry, we pride ourselves on offering our clients a wonderful experience every time. You want to look your best during your wedding ceremony, the reception, and for the wedding photos. The proper arrangement of lights and mirrors will show your best side and give you photos to cherish for life. We start by inspecting the work site and locating the prime spots for lights. We can set up lighting equipment inside and outside, so whether your wedding is interior, exterior, or a combination of both, we have got you covered. You want your special day to be as special as possible, and having right light in the right places can help you achieve your dream. Is your business holding an awards ceremony or gala? Are you looking for a company to set up the sound system for the presenters and the dance floor? We are the premier corporate event staging company in Melbourne. Setting up your sound system for maximum clarity is essential to providing your audience with a great experience. When your voice comes through loud and clear, you sound confident and inspiring. Putting thought into your light displays is another way to connect with your audience. You can dazzle them with bright flashing lights, and add a subdued, close tone with warm lighting. 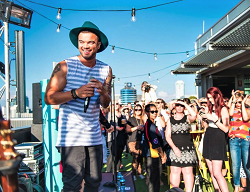 For fantastic event staging in Melbourne, reach out to Pro Light & Sound us today. We are here to meet your lighting and sound needs.